Má tá scannán amháin ann gur gá duit a fheiceáil le tús spleodrach a chur le 2018, ná breathnaigh níos faide ná an saothar seo de chuid Martin McDonagh. 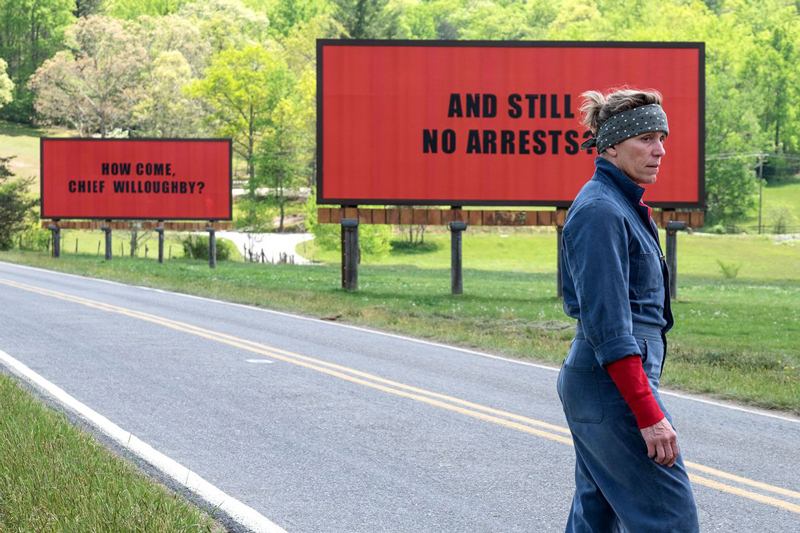 Bhuaigh Three Billboards Outside Ebbing Missouri ceithre ghradam Golden Globe an tseachtain seo agus is furasta a fheiceáil cén fáth – scéal a shúfaidh isteach tú agus dúghreann den chineál searbh sin a mbeifeá ag dúil leis ó dhrámadóir de bhunadh na hÉireann a bhfuil a liosta duaiseanna ag fás leis i gcónaí. Pléascann an scannán inár láthair le carachtair bhríomhara bheomhara nach mbeadh as áit in The Hills Have Eyes agus a thugann léiriú iontach de na híomhánna steiréitipiciúla sin atá againn de Mheiriceá iarghúlta. Cuir ar a bharr sin an acmhainn grinn a bhí le brath i leithéidí In Bruges agus beidh tú ar an bhóthar ceart. Mildred Hayes an bhean atá an croí an scéil choscraigh seo agus ní deacair a aithint gur scríobhadh an ról go speisialta do Frances McDormand mar ní féidir duine ar bith eile a shamhailt ag déanamh jab leath chomh maith agus a dhéanann bean Fargo. Léiríonn sí an chuma chrua sin a bheadh ar bhean tuaithe ar bith a chaill a hiníon míonna ó shin – maraíodh agus dódh í ach níl a dhath ar bith cluinte ag Mildred ó phéas na háite ó shin. I ndiaidh seacht mí d’éadóchas agus fearg, cinneann sí trí chomhartha mhóra a thabhairt amach ar cíos ar chostas $5000 sa mhí leis na poilíní áitiúla a spreagadh leis an dúnmharfóir a aimsiú. Is cinnte go gcuireann an gníomh seo an dúnmharú i mbéal na ndaoine arís ach cothaíonn sé scoilt idir iad siúd atá ar a son agus iad siúd atá ina héadan. Díríonn an feachtas go príomha ar cheannasaí na bpeas, Chief Willoughby (Woody Harrelson). Tá cloch níos mó ar phaidrín Willoughby áfach agus mealltar muid i saol pearsanta ‘an namhad’ le bheith mar fhinnéithe ar chásadh eile fiachmhar sa scéal mar a bhaineann leis. Cé go bhfuil an greann go smior sa scannán, tá meascán mearaí de mhothúcháin ann agus tú ag leanúint scéal beatha na gcarachtar a bhíonn thuas seal, thíos seal i gcónaí. Ach i measc na feirge, an bhróin, na péine agus an fhrustrachais, aimsítear seoidín glé daonnachta agus leochaileachta, rud a bhfuil sé de nádúr ionann a chur i bhfolach ón saol mór timpeall. 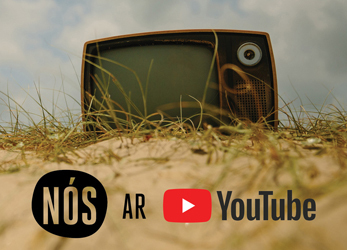 De réir mar atá gach carachtar i bhfostú agus ag streachailt le céasadh s’acu féin áfach, táthar ag tabhairt neamhairde ar an phian agus ar an ghortú atá ag tarlú thart orthu, mórán mar a bhíonn muid uile agus muid ag treabhadh tríd an saol. 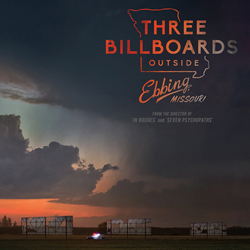 Cuirfidh Three Billboards tú ag gáire, ag caoineadh, ag buaireamh agus ag meabhrú ar dhaonnacht nó easpa daonnachta an domahin, agus tá go leor fágtha aige chun cor eile a chur ort chomh maith.